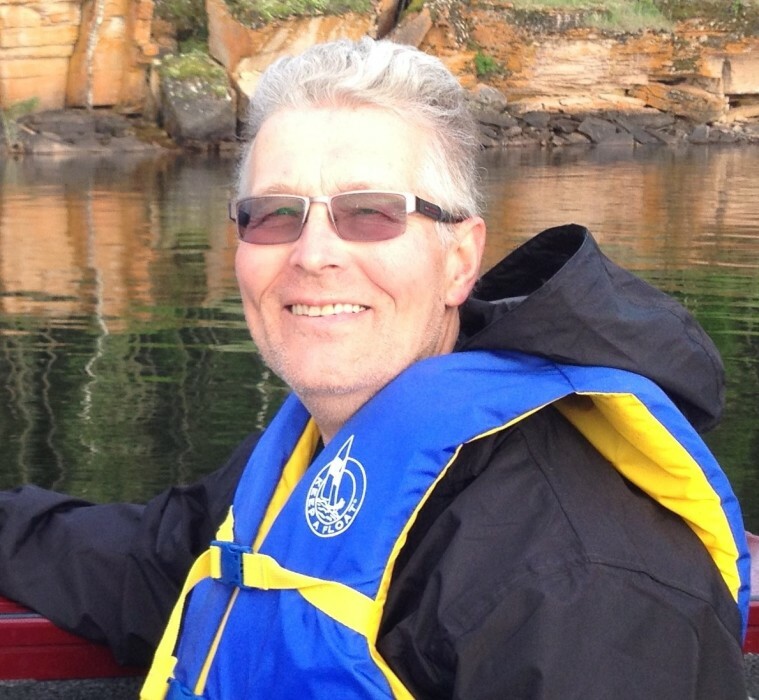 Obituary for Brian Robert Hutton | Grays Funeral Chapel LTD.
Brian was born on Remembrance Day, November 11, 1949 to Robert (Bob) and Dorothy Hutton (nee Horner) at the Redvers Hospital in Redvers, SK. He was the second child born to Mom & Dad. Sadly, their first child, Robert Jr., died a few hours after birth. Brian’s arrival was a joyous occasion for our parents who had naturally been devastated by the loss of their first born. Family album pictures of Brian are plentiful and reflect what a cherished child he was. He was also highly photogenic, and it seems he loved to pose for the camera. Brian attended Hutton School for Grades 1 – 8. Hutton School was a small country school that closed in or about 1964. The students were then bussed to school in Redvers, 10 miles from our family farm. Brian wasn’t overly keen on school and attended long enough to complete grade 9, maybe 10, before moving on to endeavors more interesting to him. Brian is the eldest of four surviving siblings – brother Allan born in 1953, Elaine in 1956 and Heather in 1969. He grew up on the family farm 10 miles north of Redvers in southeastern Saskatchewan. The farm, in greatly expanded form, continues to be operated by Allan, his wife Brenda and their adult sons. Brian always had a keen interest in all things mechanical and the operation of farm machinery – not so much the livestock aspect of the farm which was Allan’s domain. Brian helped with maintenance of the farm machinery from a young age. During his teen years, this interest extended to working on cars often with his close friends who shared a similar passion. Brian’s first car was a turquoise blue 1959 Plymouth with awesome fins. Brian left home at a young age. He worked for short periods of time trying out various occupations including employment in the local oil field, the nickel mine at Thompson, Manitoba, and for our uncle at his logging camp at Campbell River on Vancouver Island. He later took training and worked as a car mechanic for a time then furthered his training as a heavy-duty mechanic and worked for Kisner Transport of Regina. Tragedy struck at age 21 when Brian experienced a serious motorcycle crash on his way home from work late one night during the summer of 1972. He wasn’t expected to but managed to survive the crash. He sustained significant head trauma and required extensive rehabilitation at the Wascana Rehab Centre in Regina. This was a terrible time for our family and many aspects of all our lives were altered by this tragic event. Brian’s recovery took many months and sadly he was never able to recover sufficiently to live independently or return to his previous employment as a mechanic. Brian then lived with our parents and his youngest sister, Heather, in Redvers once our parents retired from the farm in 1976. Heather was just two years old at the time of the accident. Brian accompanied our parents and Heather on all family excursions and participated in community events. He enjoyed daily coffee and a muffin with friends at the local coffee shop of choice and ice cream at Myrna’s Ice Cream Shop during the summer. Brian walked daily logging many miles. He was known and loved by many caring and protective residents of Redvers who often kept a watchful eye out for him. Following the passing of both our parents and Heather’s marriage, Brian came to live with me (Elaine) and my husband Larry in 2014 at our acreage in the Garden River area northeast of Prince Albert. Brian enjoyed many new adventures during his time with us including fishing trips and relaxing at our cabin at Deschambault Lake. Brian proved to be a great fisherman and he enjoyed time out on the lake in Larry’s boat regardless of the conditions. He was fearless! He also enjoyed ice fishing in the winter months. Brian developed a great interest in grooming the evergreen trees on our acreage. What began as snapping off a few dead branches here and there morphed into countless hours meticulously trimming away dead branches and debris. Brian was physically very active and continued his passion for long walks, occasionally getting lost and needing to be rescued by a panicked sister! Brian attended the Adult Day Program at the Victoria Hospital 3 days a week for several years. He enjoyed the socializing and activities, especially the musical entertainment at the Herb Bassett Home. He made many new friends at this program. Brian and I shared a close bond. As a teenager, he often drove my friends and me to local dances and events. When he came to live with me several decades later, it felt like a natural reunion. Brian and I went on numerous road trips often for medical reasons to Regina and Saskatoon. We traveled to Ogema and road the Southern Prairie Railway train which he thoroughly enjoyed. It was nostalgic as our mother used to depart from that same railway station to travel to Moose Jaw where she was going to “Normal School” to be a teacher. Another time we drove through the Big Muddy and took in the interesting sights that area has to offer which is also close to where our mother grew up at Ogema. She told interesting stories of shenanigans occurring back in “her day” in the Big Muddy. Brian was an integral member of our family, loved by my children Alexis, Matthew, Kris and their respective partners Mike, Shaunna and Ashley, and their children. Brian enjoyed interacting with Alexis’ daughter Mia (5) and sometimes being bossed around by her if he didn’t play properly. He also took interest in baby Kayson. One of Brian’s favorite family members seemed to be Winston (the cat). Brian went to live at Birchview Care Home in Birch Hills in September of 2018 when he required more personal care than I was able to provide. This was a hard decision to make for me and Larry who had developed a protective relationship with Brian. Brian readily adapted to his new home and greatly enjoyed his time at Birchview. He instantly made new friends with residents and staff. Sadly, his time at Birchview was cut short when he succumbed to the battle with cancer and dementia on April 2, 2019 at the age of 69. He will be lovingly remembered by all who came to know him for his easy going, gentle, lovable demeanor. A Memorial Service will be held for Brian at a later date in his home community of Redvers where he will be reunited with our parents who are interred in the Redvers Cemetery. On behalf of the family, I would like to acknowledge the love and superb care Brian received from the staff of Birchview Care Home. Also, the care provided by Dr. Watt and Nurse Practitioner Cheryl Wegner during his stay at Birchview. In addition, we would like to thank Dr. Kate Johnson and staff and Dr. N. Iqbal and staff of the Saskatoon Cancer Clinic and Dr. E. Sadikov of the Regina Cancer Clinic. Also, Parkland Ambulance for their efficient and compassionate service when Brian required their assistance on two separate occasions. And lastly, Dr. Gordon Surkan for his care of Brian while living with me and guidance provided regarding end of life care when called upon.